You can learn a lot from baseball – even lessons about law firm public relations, which has more in common with baseball than you might think. First baseball players and public relations professionals both know how to perform under pressure. 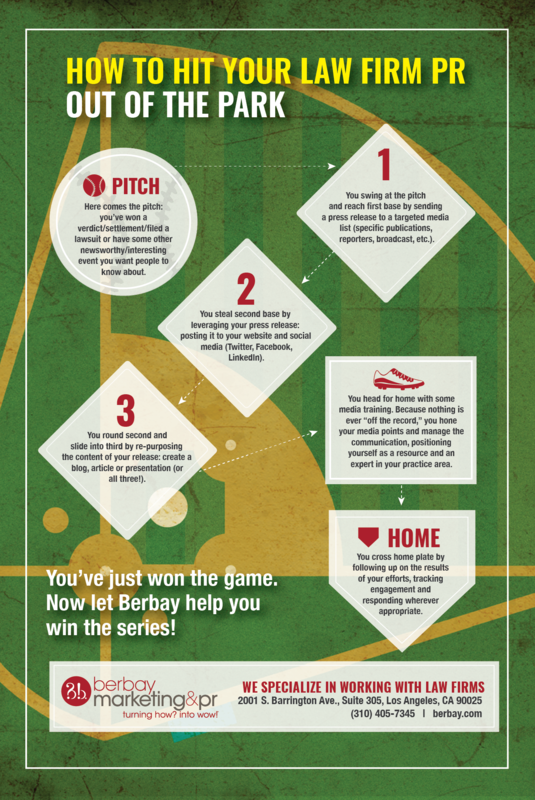 Second, a baseball diamond is the perfect road map for a foolproof legal PR campaign. If you need to hit your next campaign out of the park, look no further than America’s favorite pastime for inspiration.